St. Pius X School was founded as part of a Catholic community where families could worship, educate and raise their families all in the same neighborhood. That vision championed by our first pastor, Fr. Gerald Phee, and brought to life by a committed group of industrious parishioners still resonates 60 years later. Soon after St. Pius X Church was founded in a barn in 1955 (learn more about that here), Fr. Phee set out to start a school. 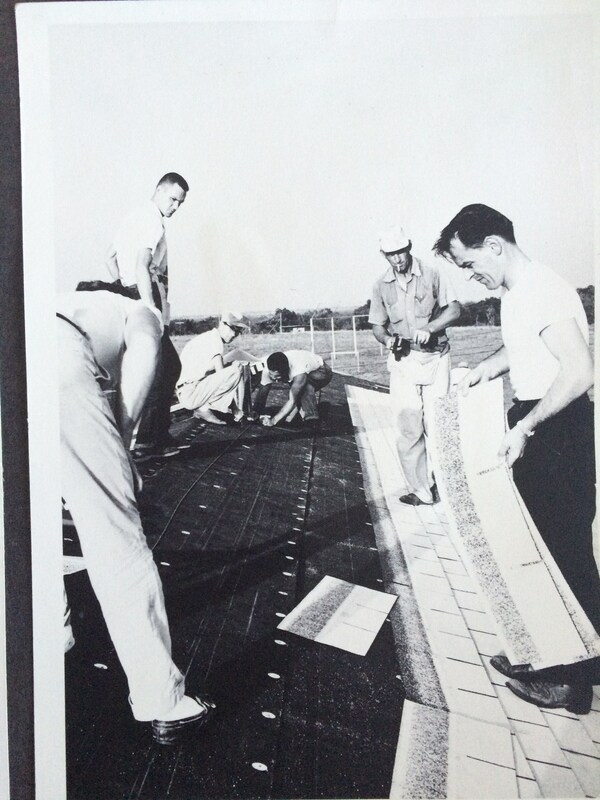 With the help of 60 parishioners, most of whom were lawyers, salesmen, engineers and representatives of other than building professions, Fr. 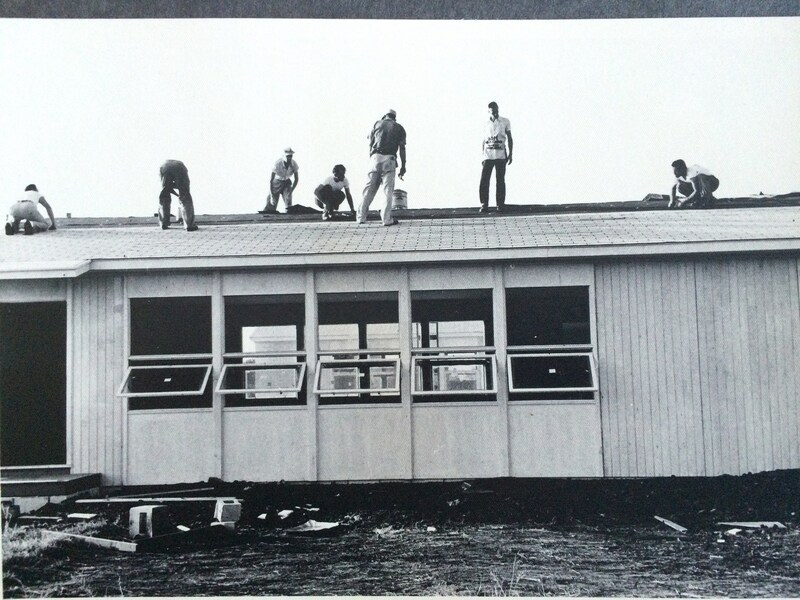 Phee spearheaded a program to construct two pre-fabricated buildings for St. Pius X School. These buildings were procured and shipped on the railroad from Fort Chaffee in Fort Smith, Ark. to the tracks near 15th and Sheridan. The savings this effort yielded provided funds to purchase outright a third building. In 1957, St. Pius X School opened for its first class. Sisters of the Divine Providence staffed the school and blessed the parish with their presence until the mid 1980’s. At the same time, Fr. Phee recruited a builder to construct affordable homes that would accommodate large families on the land adjacent to the church and school, establishing the “Moeller Heights” neighborhood. These 3, 4 and 6 bedroom houses with sidewalks so children could ride bikes and roller skate safely are still home to many St. Pius X families. As Fr. Phee's vision of a vibrant Catholic community came to fruition, the parish set out to build a church large enough to hold is congregation. The church itself was designed “in the round” with the altar in the center so no parishioner is more than 50 feet from it. The baptismal font was located immediately within the entrance so parishioners would be reminded on entering and leaving that baptism is the means of entrance to the Church. The new church was dedicated by Bishop Victor Reed on August 6, 1964. 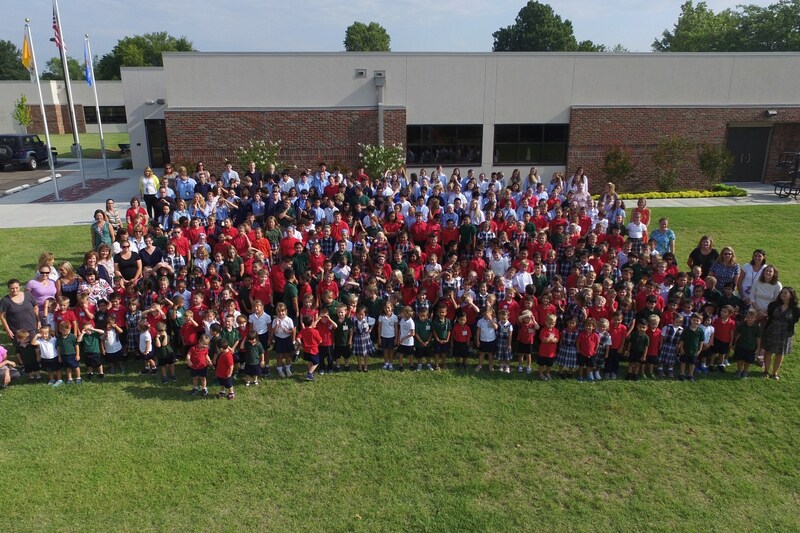 That year, St. Pius X School had 559 students, more than any Catholic grade school in the Diocese of Tulsa. Fr. Phee had a philosophy: “if there’s a job to be done, do it.” So it was he drove the school bus, taught religion and helped the Sisters wherever needed . One parent remembers a day when her youngest, a shy boy, didn’t know where to get off the bus in the afternoon. Rather than speak up, he rode all the way back to school with Fr. Phee. “Father brought him all the way home that day, and from then on stopped right in front of our house to let him out," she laughed. St. Pius X School flourished through the 1960's and 1970's. In April 1983, Fr. Dennis Dorney returned as the fourth pastor of St. Pius X. He had been an associate pastor in the 1970s. 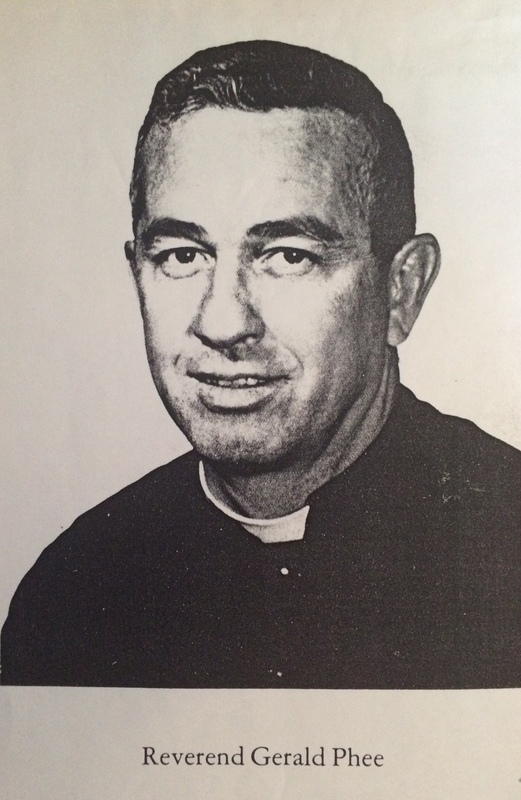 For Father-later Monsignor-Dorney, Catholic education was an absolute priority. He instituted just salaries and retirement for teachers and parish staff, which had become more important as lay teachers and staff predominated. A state-of-the-art Math and Computer lab was completed in 1995, pre-school was added and an Endowment Fund was established. The parish featured plays for a number of years, with parishioners themselves building the sets, starring in the roles and directing all the action. St. Pius X parishioner, school alumnus and future pastor, Fr. Matt Gerlach, was ordained to the priesthood on May 24, 1996 and celebrated his first Mass at St. Pius X Church. After Monsignor Dorney was transferred to the Church of St. Mary, Fr. Tom Hildebrand returned to St. Pius X after serving as associate from 1978-81. Fr. Tom also saw the school as a priority. With Holly Goodwin as principal, St. Pius X School was nationally honored as a Blue Ribbon School of Excellence in 1996. Parents continued the tradition of “sweat equity” and built a modern playground still in use today. Father Tom suffered a fatal heart attack in the rectory on November 3, 2005. His death stunned the St. Pius X community and led to an extended time of grief and mourning. Fr. Mike Knipe became the sixth pastor of St. Pius X in 2005. That year the parish celebrated it’s 50th birthday with a year-long celebration and added a Sunday Mass in Spanish. In November 2011, Fr. Matt Gerlach was named eighth pastor of St. Pius X in November 2011. Working with Principal Lisa Bell, Fr. Matt soon realized the “temporary” school buildings erected in the 1950’s would not last much longer. A capital campaign to raise $6.2 million dollars for a new school was announced in 2012. Once again, the parish responded by funding a majority of the project through multi-year pledges. Proceeds of events from the annual parish garage sale to the school auction were earmarked for the Capital Campaign. By summer of 2015, a new Early Education and Elementary building was constructed, including a FEMA-approved storm shelter and Motor Skills room. A year later construction was complete on a new Middle School building including administrative offices, music room and a second FEMA-approved storm shelter. On August 11, 2016, for the first time in the school’s history, all students in Pre-K 3-year old through 8th grades started the school year under one roof. Recently named Bishop David Koderla dedicated the building that month during the parish’s annual Feast Day celebration. Over the years, St. Pius X School has educated countless National Merit Scholars, a Cy Young award-winning MLB pitcher, TV personalities, priests and successful leaders across the Tulsa community and world. Many contemporary teachers and students of St. Pius X School are children or grandchildren of our early parishioners. The parents who constructed those pre-fab buildings in the 1950's are now grandparents seated next to their grandchildren at the Friday All-School Masses. The school continues its mission to provide a welcome community to families hoping to raise their children in the tradition of outstanding Catholic education.